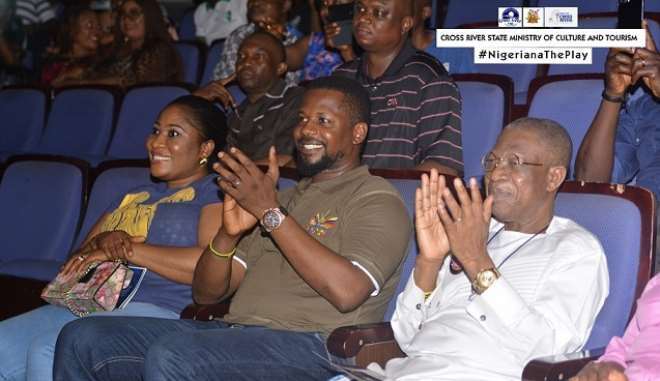 Nigeria’s minster for Information & Culture, Alhaji Lai Mohammed has commended the Governor of Cross River State, Senator Prof Ben Ayade, for sustaining the tradition of theatre, arts and cultural development as a tool for creating employment for Nigerian youths. 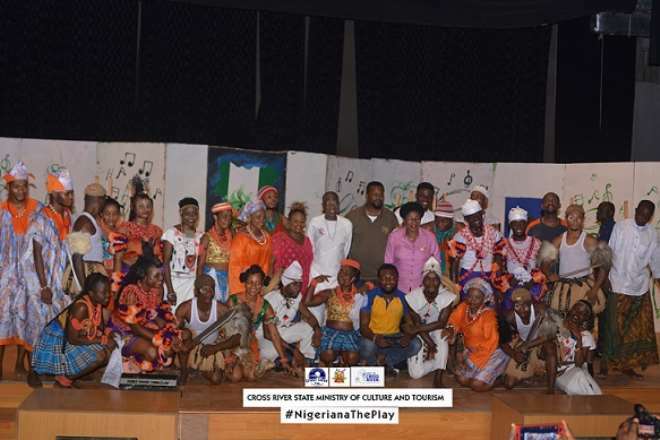 The minister made the statement while giving his remark after the stage play NIGERIANA was presented by the Cross River State Ministry of Culture & Tourism. This was on the evening of Saturday, 16th December 2017, preceding the third and final dry run for the Carnival Calabar, dubbed Africa’s biggest street party. In NIGERIANA, the playwright, award winning, PHD in Choreography holder, Arnold Udoka carefully displays ethnic characters to express cultural pluralism in postcolonial Nigeria. While the aftermath of a conflict between two major characters creates trajectory of forgiveness, love, sense of purpose and unity. The performance explored the concept of total theatre as described by American character actor, Steven Berkoff. The stage play NIGERIANA is the first in the series of presentations made by the ministry since the pioneer commissioner, Eric Anderson was sworn in two months ago. And in the words of the minister, it is astonishing. It was directed by Affiong Effiong, a theatre director, choreographer and experimentalist. The minister had spent the early part of the day on tour of mass camps of the carnival bands; worthy of note was SEAGULL BAND, after a stop at FREEDOM BAND camp. Before retiring for the day, he was hosted at the historic Cultural Centre Calabar, where he was held spell bound by the breath taking performance of NIGERIANA by Arnold Udoka, as it exhibits Nigeria’s geo reality and diversity through the dance culture. In his vote of thanks, Mr. Anderson rendered his utmost appreciation of the presence of the minister at the first presentation since he took charge of the ministry; saying it is really a good start for him, he thanked the Governor for the creation of a ministry of Culture & Tourism, and the appointment of a practitioner, a thespian, in person of himself. Speaking further, he appreciated the Governor for the platform the stage offers many talents to hone their skills, ‘for those with good materials, it is certain the stage will catapult them to higher level in their career’ he said. The entire audience left the hall with joy in their hearts, smiles on their faces and applauds echoed from their hands.